While we offer instructional trampoline, we also have a team dedicated to the sport. Our trampoline team is one of the best in the Nation, impressively creating numerous State, Regional and National Champions every year for the last 15 years. That being said, we choose to focus more on developing a confident and healthy athlete. If your student is interested in trying out for our trampoline team, please call (816) 347-8008 today! 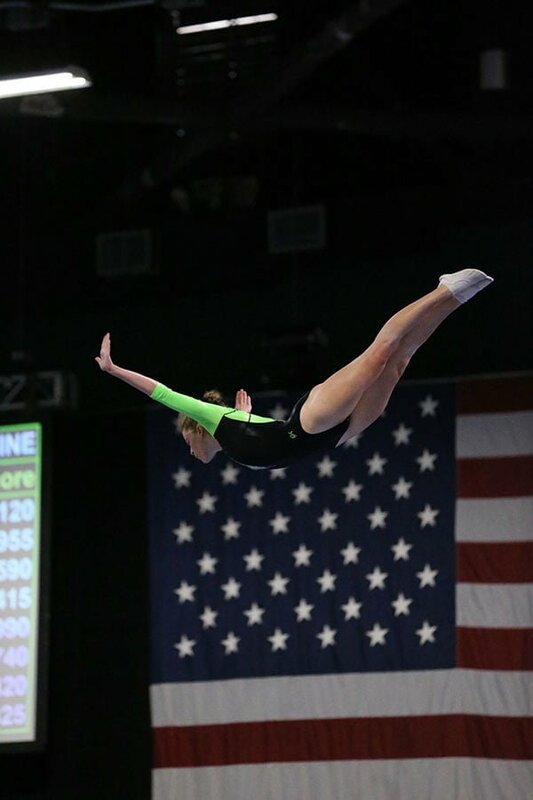 Xtreme Gymnastics believes in teaching our trampoline athletes that winning is a byproduct of achieving one’s goals. Our practice sessions will teach your athlete how to set and implement a plan to accomplish individual goals. Our mission is to give every trampolinist an opportunity to live an Elite Lifestyle. More important than the skills is the person they become when they graduate our program. We do not believe in talent. We will create individual plans to help your athlete learn to be successful. Competition is a tool to test and build confidence. Winning is an emotional experience that helps us to create the confidence to reach for more. Interested in starting your son or daughter on our trampoline team? Call (816) 347-8008 today to schedule an evaluation with our elite coaches today!